Suzuki Ignis long-term review | What Car? Needs to: Be frugal despite having four driven wheels, enjoyable to drive, reliable and show at least some off-road ability. It would appear that Suzuki is suffering from writer’s block at the moment. After reintroducing the Baleno nameplate last year, Ignis has now been lifted from the bin and glued onto the back of a city car-sized SUV. Thankfully, while those in the naming department were scratching their heads, Suzuki’s designers seem to have had a flash of inspiration. Despite being shorter than a Fiesta, the Ignis has a shape that’s cute but with enough 4x4 styling cues to make it appeal to a broad audience. There’s even a few retro touches from the Suzuki ‘Whizzkid’ coupé of the 1970s. Our long-termer is the top of the range SZ5, which comes with a 1.2-litre four-cylinder with SHVS – Smart Hybrid Vehicle by Suzuki. Unlike full hybrids such as the Toyota Prius, this doesn’t have a giant battery eating into interior space. Instead, there’s a small battery that sits under the front passenger seat. This feeds a combined starter-generator that’s attached to the engine via a belt. It’s not big enough to move the car on its own, but it does improve engine flexibility at low revs. Come off the accelerator while driving and it’ll top the battery back up again. So what’s the point if there’s no zero-emissions running? Put simply, it makes the little 1.2 feel like a bigger engine, allowing you to be in a higher gear than you might expect, reducing revs and helping fuel economy. So far we’ve achieved more than 45mpg without trying. Pleasingly, there is fun to be had at the top of the rev range. As more and more cars move to turbocharged engines, they tend to run out of puff at 5500rpm, so it’s nice to have an engine that is happy to rev freely. It might sound a little gruff, but it has a charm to it. 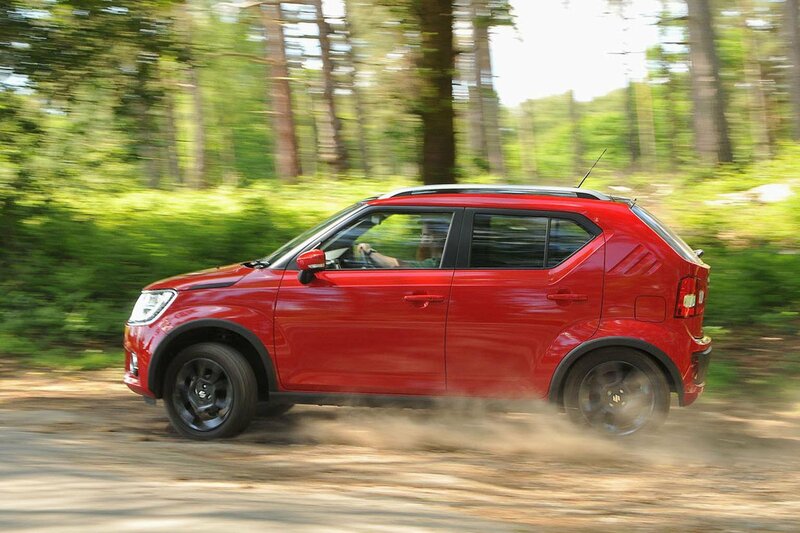 Unlike many rivals, the Ignis is available with four-wheel drive; Allgrip in Suzuki speak. Unlike the similarly priced but much larger Dacia Duster, you can’t lock it in four-wheel-drive, but it should be fine for a bit of light off-roading. We won’t be venturing too far off the beaten track, though. Road-biased tyres and a low ride height mean really rough surfaces are a no-go. SZ5 trim means we also get a tonne of equipment. So much in fact, that the only option we’ve gone for is Fervent red paint with a black roof (£650) so we can find it a bit easier in car parks. I just hope no-one mistakes me for Postman Pat. So what else will £14,899 (including that option) get you? For a start you get a touchscreen infotainment system with Bluetooth, Apple CarPlay, Android Auto and sat-nav. It also has a rear-view camera for tight spots. You also get another couple of cameras up front for the automatic emergency braking, which proves very effective at warning you of stationary obstacles. To help prevent using that, you also get LED headlights with auto leveling. Other niceties include climate control, electric front and rear windows and keyless entry and start. If that wasn’t enough, there’s a pair of individually sliding and reclining rear seats, just like in a grown-up SUV. 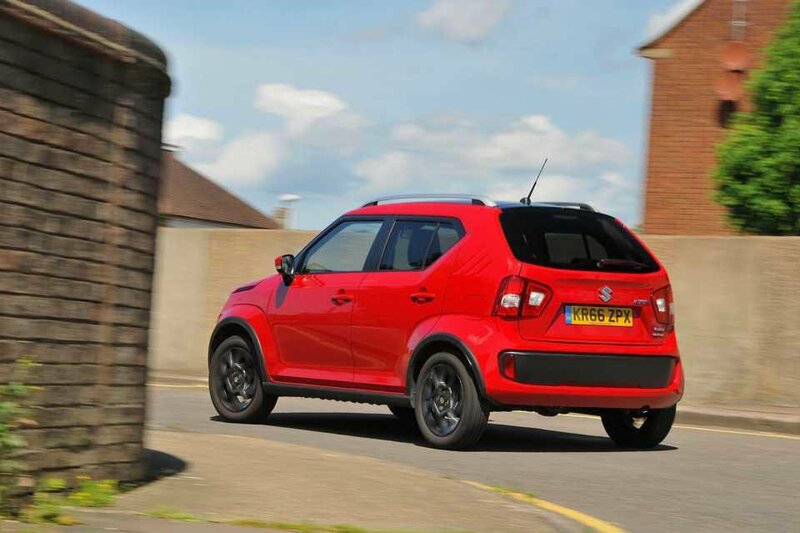 Push them all the way back and there’s a surprising amount of rear leg room, while the Ignis's high roof allows for plenty of head room. Not only does our Ignis look good on paper, but it’s doing a good job of charming everyone who drives it. It may not be fast, but it’s great fun in the bends. The steering is well weighted and the car’s light weight means it feels eager to turn in despite being relatively tall. It's so good, in fact, that I've found myself grabbing the keys to the Suzuki over far more expensive performance cars. Its limited power and narrow tyres mean that you can drive it hard well within the speed limits. There are many so-called hot hatches that could learn a lot from this unlikely B-road hero. 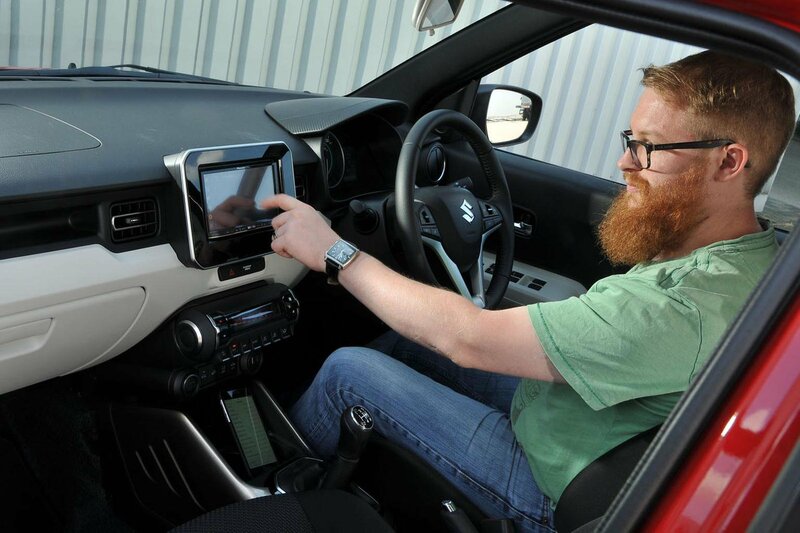 Unlike some of our long-term fleet, the Ignis doesn’t have a fixed custodian. 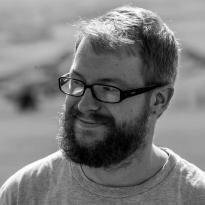 Instead it’s for we road testers to use as necessary. That’ll mean plenty of long trips to far-away events, nipping between offices and possibly the occasional group test. That means we’ll get to know the car very well before it’s sent back to Suzuki in February. We look forward to finding out if it’s as comfortable in the city as it is in the great outdoors.